Home / Eco / The time has come – Call for massive presence of people at the #ZAD! The time has come – Call for massive presence of people at the #ZAD! Call to come to ZAD on Sunday, April 15. The time has come – Call for massive presence of people at the ZAD! 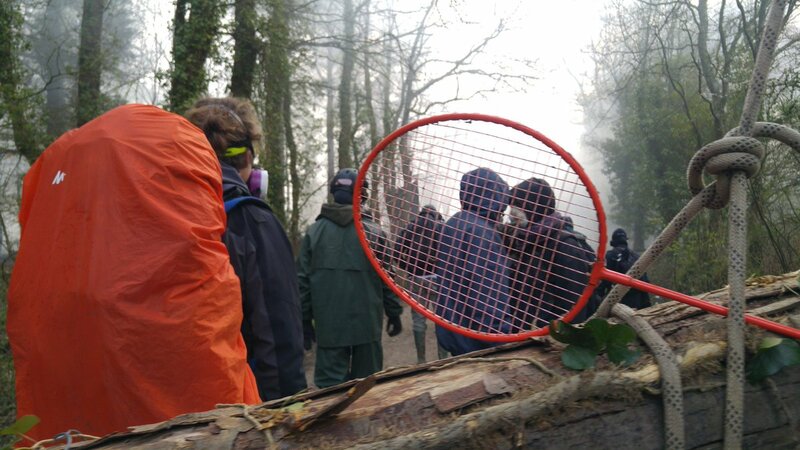 This week, the State decided to brutally destroy the collective experiment in the ZAD. We are resisting every day – residents, supporters, farmers, neighbours, young people, older people. We do it with our hearts, our bodies, our connections, with all the strengths that have become rooted in the countryside here over 50 years of struggles and accumulated hopes. But the State continues to destroy our houses, farms and other agricultural spaces, and workshops, to trample gardens, to raze everything that is beautiful. We need you here on the ground now! To all of you who have been here even once, to everyone who could have come here and will be able to come in the future. To all of you who believe that spaces for collective experiments are necessary and that we must continue to invent lives that are magical to resist these barbarians. To all of you who believe that it is still possible to resist the juggernaut of the mercantilization and commodification of the world and the destruction of living things. Live Blog Day 5: Prefect Announced End of Eviction of #ZAD #NDDL – Enough is Enough!